Although Free threw them for a loop when they launched their mobile offer last year, the three ‘old school’ mobile operators look to finally be adapting to a radically altered space. Last month Bouygues was the first ‘old school’ telco to reach the 1 million subscriber market with their B&You low-cost offer late 2012. Now it’s Orange and SFR’s turn. 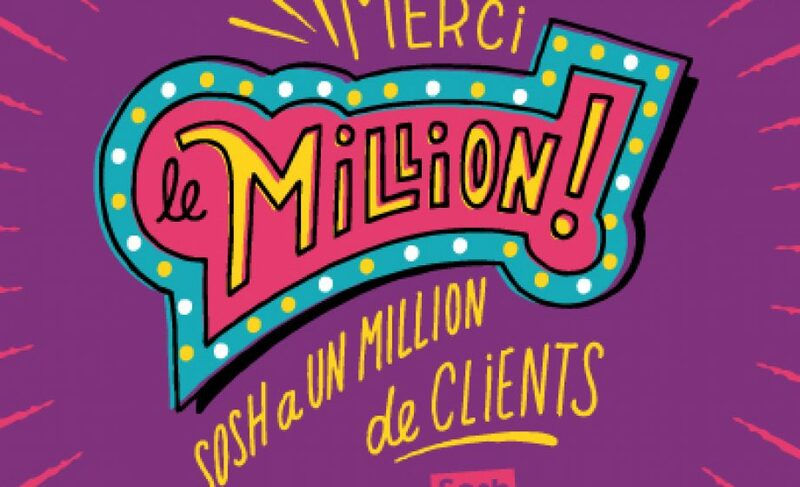 In a Twitter post yesterday, Orange announced that their low-cost offer Sosh reached the all-important 1 million subscriber mark, qualifying it as a clear success for the mobile giant. With this news as well as the success of their fast-growing VOIP offer Libon, which will soon be launching an Android version, Orange finally looks to be adeptly navigating an increasingly difficult mobile landscape. Sosh’s price points range from €9,90 to €24,90, a radical change from the eye-popping monthly bills or cheaper, voice only plans people had become accustomed to in the past. SFR, 18 months after launching their low-cost offer Red, also hit the 1 million subscriber mark this week. These low-cost offers went a long way in helping the traditional mobile carriers to stop what had been a very scary hemorrhaging of customers after Free mobile’s launch. In fact, Orange actually posted a slight 0.4% gain in customers, reaching 27.2 million mobile customers in December 2012. While SFR’s number of subscribers did not grow year-on-year, it’s clear that their low-cost offer went a long way in helping to maintain their 16.6 million subscribers.